Talk about travelling on a budget! 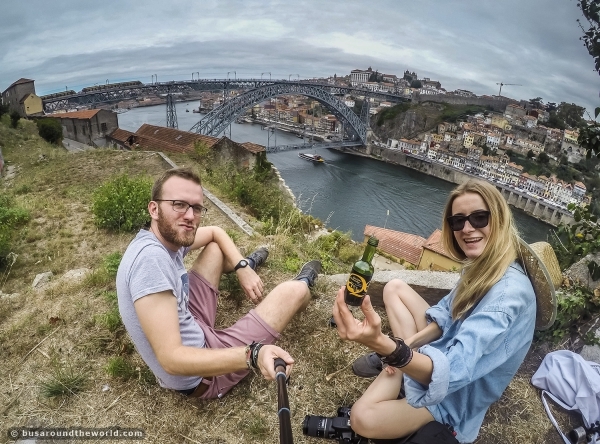 Polish travel blogger couple Charlie Lewandowski and Alex Slusarczyk are two bloggers who've made it their life's mission to see as much of the world as they possibly can... all while living on less than the cost of a copy of National Geographic. 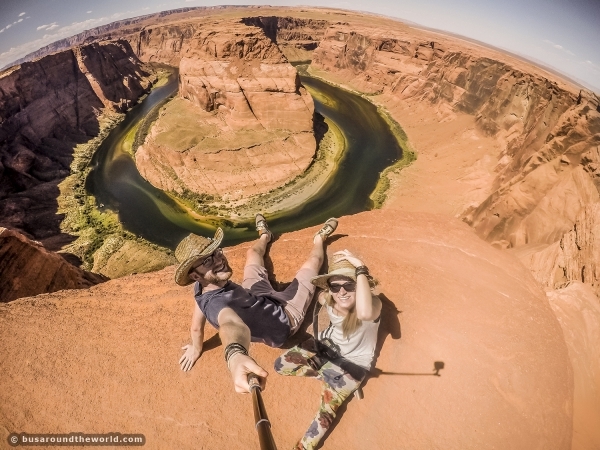 The two intrepid travelers started their journey when they were in their early 20's. Neither of them had much money. What they had was a lot of guts and a burning desire to travel. 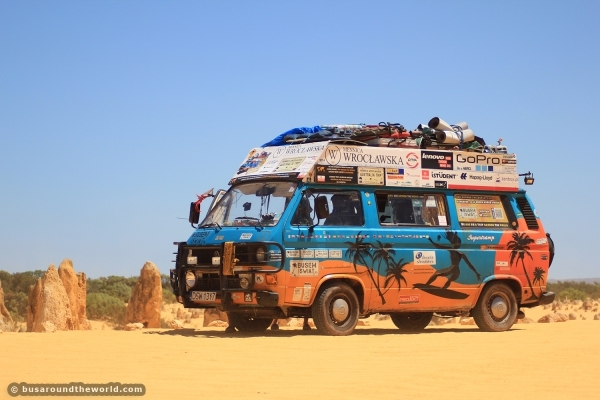 To start with, Lewandowski and Slusarczyk bought a 1989 camper van for $600 and renovated it, naming it “Supertramp” after the main character in the film "Into the Wild." After purchasing tents and supplies and fueling up, they set off. 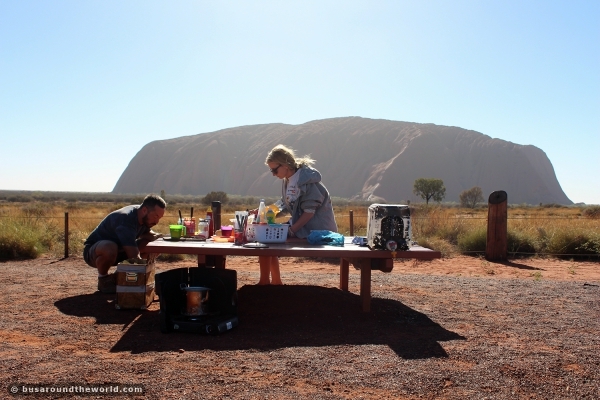 So far, the travel-hungry twosome have been to 50 countries in 5 continents. 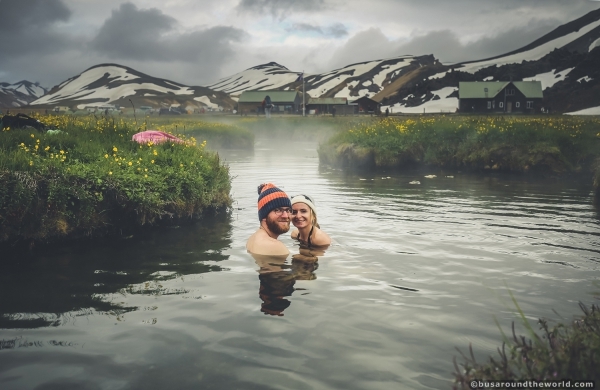 They've relaxed by the picturesque canals of Venice, Italy, climbed mountains in Norway, hung out with baby kangaroos in Australia, and bathed in the hot springs of Iceland. They even got engaged in the Sahara! Travelling isn't cheap, but Lewandowski and Slusarczyk have found ways to economize. To keep costs down, they never stay in hotels, sleeping in Supertramp or pitching tents in the wilderness instead. They eat at the cheapest places or cook their own food, and let other travelers ride with them to split fuel costs. They handle vehicle repairs on their own and they estimate their living expenses to about US$8 a day. All that economizing might seem exhausting, but the two have taken it all in stride. For extra cash, the two creative freelancers try to earn money in all sorts of ways such as doing freelance graphic design, IT work, and helping out on local farms. Occasionally, kind strangers would offer them a place to sleep for the night or a hot, home-cooked meal. 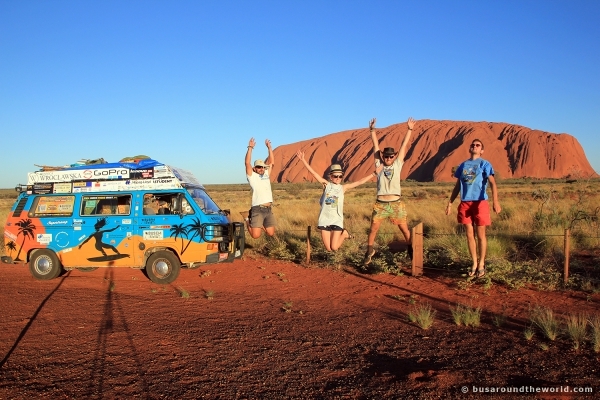 Now that their blog, busaroundtheworld.com, has hit it big, they've also received several sponsorship offers from travel companies. These come in handy when they have to shell out a lot of money, like when they had to transport Supertramp across the ocean from Australia to the U.S.
Now 27, Charlie Lewandowski and Alex Slusarczyk have traveled non-stop for give or take six years. Together, they've covered more than 150,000 kilometers in trusty Supertramp, but their journey is far from over. Despite the occasional set-back (e.g. being robbed in Barcelona and being mistaken for drug dealers in Gibraltar), the two are still on the road and couldn't be happier. Got a serious case of wanderlust yet? What's your dream destination? Let us know in the comments!